Do you remember Those Sci-fi Technologies shown in Marvel Movies? Congratulations! They are becoming the Reality of Mankind. Holograph Technology is now available! 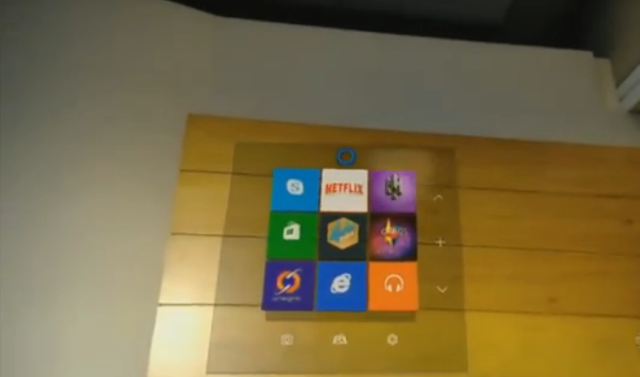 Microsoft's HoloLense Shaping up to be Really, Really good. Now we are able to to see Holographic images shown in The IRONMAN Movie. Why this is our future? Imaging you are Riding your bike and you get Holographic distance counter with other Objects like Cars or Trucks in Real time! you get like weather updates in Real space time! this is the future because only you will be able to see what you are searching or creating with your HoloLense. So there is no privacy issue. You can Draw your own quad copter and generate 3D print at home even if you are at remote location! there are many possibility this technology will drive crazy but in a good way. it recognizes voice commands as well as exact location of our focus on an object! isn't it amazing? i feel that this would be a major revolution computer gaming! most of people are not aware of whats going around your room while you are playing computer games now just imagine you are playing a holographic game which is virtual broadcasting in the center of your room! if you are cat is trying to escape from your room You can easily catch her and every other activities. Do some Good Karma today share this article with your friends!